I always use dried fenugreek leaves in my recipes but this is first time i tried with fresh leaves. The outcome was excellent. 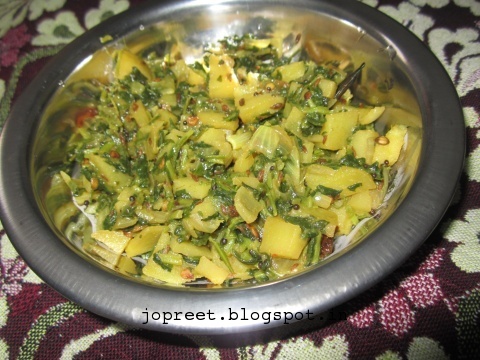 I shall upload other recipes tried with fenugreek leaves later. 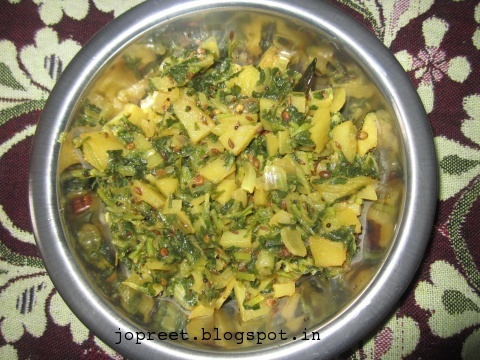 Wash the chop the fenugreek leaves. Heat oil in a kadhai and temper mustard seeds. Add dry red chillies, coriander seeds, cumin seeds and chopped onions. Saute a while and add ginger-garlic paste. 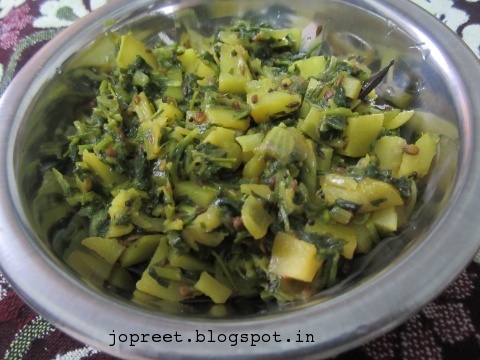 Add fenugreek leaves and potato. Mix well and add turmeric powder, asofoetida and salt to taste. Add half cup and cook it covered for 10 mins. You can cook it either dry or with little much water. Serve hot chapati or roti.